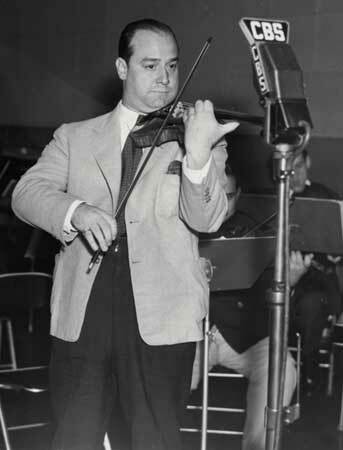 Jazz violinist Joe Venuti, circa 1945. The first great jazz virtuoso on the violin, Philadelphia's Joe Venuti led a number of big bands in the 1930s and 1940s and appeared regularly on the Bing Crosby radio show in the early 1950s. After a period of relative obscurity, he experienced renewed popularity in the early 1970s through a series of recordings that demonstrated his still exciting style and virtuosity.